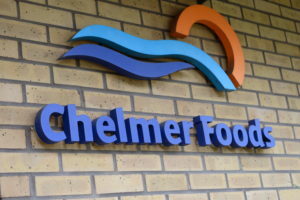 With immediate effect Chris Wilding and Simon Heather will join the Board of Directors of Chelmer Foods Limited. Both Chris and Simon have made a significant contribution to the ongoing success of the company since first joining in 2007 and 2010 respectively. The Board of Directors thank you for your continued support and we look forward to seeing you at IFE in March.